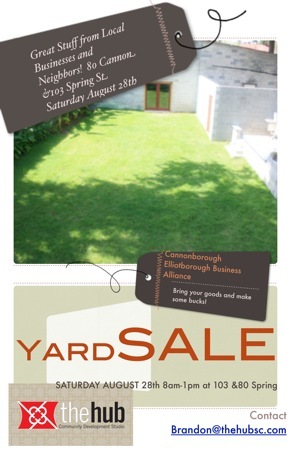 Saturday August 28th from 8am-2pm join the neighborhood at the warehouse at 80 Cannon St for it’s first yard sale. Wagener Terrrace has been doing this for years, but now it’s time for Elliotborough to give it a try! With all the local businesses that will participate, make sure to mark your calendar now!